Enter this Royal rope making factory : the longest building in Europe of its time in the Naval Dockyard of Rochefort. Just a minute away from the frigate Hermione, discover the "Versailles of the sea" : the Corderie Royale ! Longer than the Eiffel tower is high, this royal manufacture illustrates by its architecture, the greatness and power of Louis XIV in the 17th century. The Corderie Royale, built between 1666 and 1669, provided ropes for the French Navy and its ships for over three centuries. First industrial building in Rochefort, it will not withstand the appearance of steel cables and in 1862, the production of rope is ceased. Reassigned to many uses, it will definitely close its doors at the same time as the closing of the Naval Dockyard of Rochefort in 1927. Abandoned, forgotten in this military space forbidden to the public, the Corderie Royale was first set on fire in 1944 by the German troops... Without the help of Admiral Dupont, which made it a classified Historic Monument, it could have been destroyed! Since 1985, in the south pavilion of the Corderie Royale, you can visit the International Centre of the Sea, where you'll discover the story of this building. Did you know that it was built on an oak raft so it wouldn't sink into the marshy soil of the river Charente ? Discover the building, the industrial production, artistic creations, temporary exhibitions, not to mention one of the most important Maritime bookshop in France ! Take a stroll through the “Jardin des Retours”, a place of relaxation, privileged by the inhabitants of Rochefort Océan. 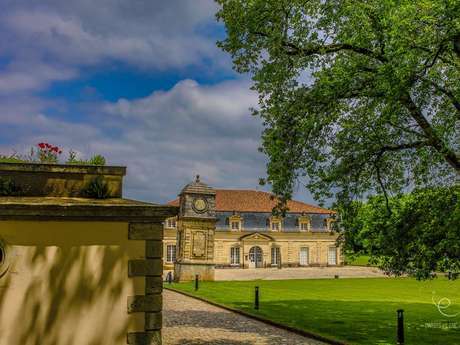 Walk along the 374 meters of the Corderie Royale and admire the architecture of this prestigious building.The rope making factory, facing the Charente and at the sight of all the ships and their crews, was at the time, a symbol of the power of the Sun King.